Have you begun to notice the skin on your legs, abdomen, arms, and chest becoming looser over time? This is a common problem that many people go through as they age. Fortunately, there are a number of effective, non-surgical aesthetic treatments available today that can help tighten this loose body skin and help you regain your youthful figure. Located in Cincinnati, Ohio, The Dermatology, Laser & Vein Center is committed to providing all of our patients with comprehensive solutions to both their medical and aesthetic concerns. If you’d like more information about our practice or are interested in scheduling a consultation appointment, contact us today! What Causes Loose Body Skin? Loose body skin is often the result of a combination of many different factors, the most common being the natural process of aging. Over time, the amount of collagen and elastin, two essential structural proteins within the skin, naturally begins to decrease, leaving the skin looking less full and tight. Muscles start to weaken, and the effect of gravity naturally causes the skin to sag. Sun exposure also plays an important role in how quickly and completely your body skin loosens. Extensive exposure to UV radiation from the sun causes collagen and elastin to break down more quickly, leading to sagging skin and wrinkles. Weight loss is another common contributor to loose body skin. When people lose a significant amount of weight quickly, either from surgery or extreme diet and exercise practices, their skin is not given enough time to accommodate to their new body weight. 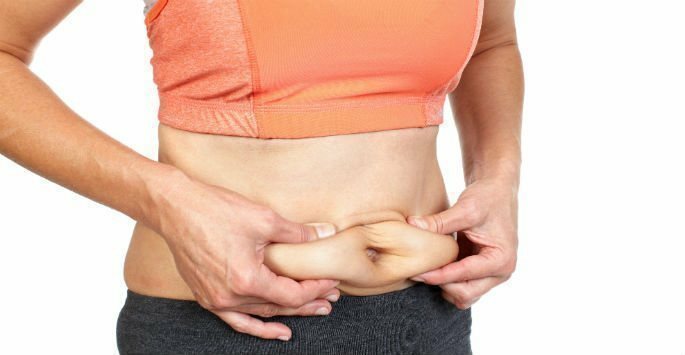 This often results in large areas of loose, sagging skin that can be discouraging for people who are finally at or near their target weight. Lifestyle choices, like frequent smoking or alcohol consumption, can also increase the rate at which your skin becomes loose. How can I Treat Loose Body Skin? While loose body skin can be discouraging, there are a wide variety of simple ways it can be addressed and corrected. At the Dermatology, Laser & Vein Center, we’re proud to offer a wide selection of both non-invasive and minimally invasive skin tightening treatments. In addition to these non-invasive treatments, we offer our patients interested in more extreme skin tightening access to minimally invasive ThermiTight, ThermiLift, and ThermiRF procedures. Before undergoing any skin tightening treatment, patients must first schedule an appointment with Dr. Shalini Gupta. During this consultation appointment, Dr. Gupta will examine the patient’s skin and ask them about their treatment goals in order to decide which procedure can best address their loose body skin. Interested in taking the first step towards tighter, younger-looking skin? We can help! Contact Dermatology, Laser & Vein Center today to schedule your very own consultation appointment. We look forward to hearing from you!